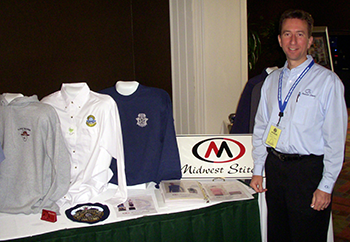 At Midwest Stitch we have years of experience with thousands of styles and brands of clothing. 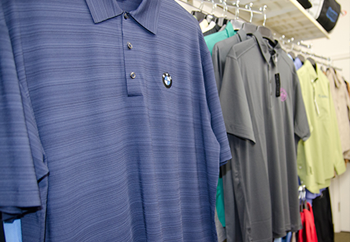 We first listen to what our customers want their apparel to accomplish in both form and function. Then, we recommend what style and brand of apparel will best suit their needs. Our digitizing department uses state-of-the-art software to enhance our artistic abilities. Your artwork will be beautifully interpreted using the media of thread and fabric. Color-blended areas, negative imaging, textured effects, and appliqué are some of the techniques we use in rendering logos. Start by calling, emailing or coming by our showroom in person. Tell us about your business, organization or event along with any ideas you already have about apparel. We will make recommendations based on your preferences and show you samples as necessary to select the garments that fit your need. 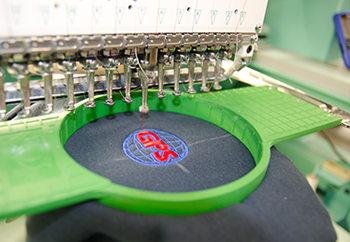 This is the most important step in the ordering process and is one thing that sets us apart as a custom embroidery shop. 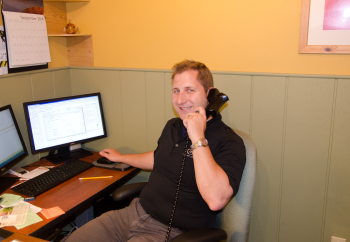 Our approach to customer service has saved our customers considerable time and expense when compared to their experiences dealing with mail order or Internet-based apparel services. Once you provide a copy of your logo (digital or a quality scanned copy) our in-house Digitizer will assess how to render your logo in thread, and then program each and every stitch of your design so it communicates with our embroidery machines to generate a logo beautifully embroidered. 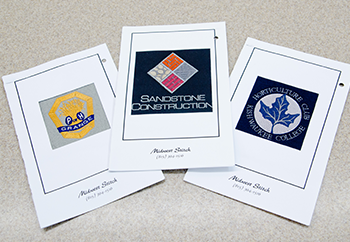 You will be provided with a proof of your logo sewn on a swatch piece of fabric before any actual garments are embroidered. This allows the opportunity to make adjustments before the completion of the finished products. All embroidery and apparel decoration is done in house so we can assure the highest standards in quality – which means the best look for our customers! 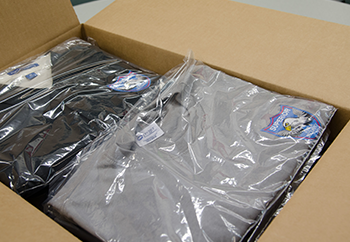 Garments will be polybagged individually or by person (for large multi-person orders) to keep them neat and fresh for delivery and until they are worn by the client. All orders are boxed and neatly labeled for pickup by or shipment to our customers. 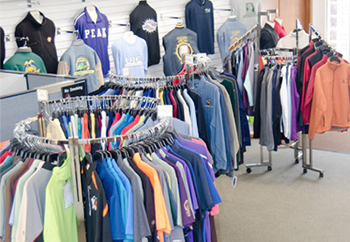 You can now wear the quality, custom apparel that proudly advertises your business whenever it is worn! You can expect follow-through service even after the sale as we ensure the product was delivered to your expectations. All of your logo and garment information is kept on file for future reference. This makes reordering as easy as a phone call or email!